Welcome to SpringHill Dental! We are looking forward to serving the needs of the Omaha-Gretna community. This website has been created entirely by my husband and myself. We hope you will find the content informational and please don’t hesitate to contact us or come in for an office tour! 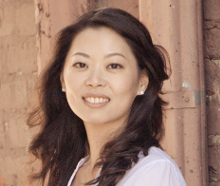 Dr. Christina Chiang was born in Taiwan and immigrated to the United States when she was thirteen years old. After completing high school in North Platte, NE, she attended Creighton University in Omaha, NE and graduated with a Bachelors of Science degree in Biology. Dr. Chiang went on to obtain her Doctorate of Dental Surgery degree at Creighton University School of Dentistry. Dr. Chiang enjoys doing many aspects of general dentistry. 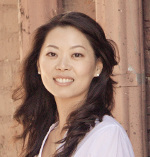 From dentures, restoring implants, to children’s dentistry, Dr. Chiang enjoys meeting and getting to know her patients. When Dr. Chiang decided to start her own dental practice, she wanted to build a practice that focused on creating a non-judgmental and friendly environment where she could form trusting relationships between herself and her patients. When Dr. Chiang is not doing dentistry, she enjoys traveling with her husband, Kirit, trying cuisines from different areas of the world, cooking, and gardening. Judith Chandran is the office manager at SpringHill Dental. Prior to this, Judi worked with Walmart in their Human Resources Department as a Training Coordinator until September 2014. Judi previously worked with the U.S Government in Mumbai, India, as the Deputy Media Adviser for Western India. Her work allowed her to personally meet and coordinate events for President Bill Clinton, President George H.W. Bush, President Jimmy Carter, Trade Delegations and other senior U.S. government officials during their visits to India. Judi is a dog lover and enjoys spending time with her dog. She also has a three-year old grandson who she spoils and adores. 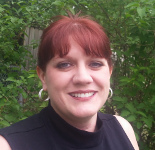 Tammy Allen was born and raised in Omaha, Nebraska. She is a graduate of Iowa Western Community College (IWCC) with an associates degree in Psychology and a diploma in dental assisting. In addition to working with Dr. Chiang as a clinical assistant at SpringHill Dental, Tammy is a member of Beta Sigma Phi in the Omaha Chapter of Eta Gamma. She has two daughters. Her eldest is at IWCC for Surgical Nursing and her youngest is in High School. She is extremely passionate about animals and her four dogs that she has rescued from abused or abandoned homes. 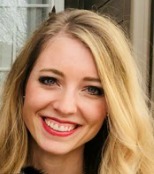 Ashley is one of dental hygienists here at SpringHill Dental. Ashley graduated from Iowa Westerns dental hygiene program in 2013. Patient care and education are her top priorities, and she has been involved in both the local and state level hygiene boards. She moved to Omaha from south west Kansas in 2009. In her free time she enjoys spending time with her husband, daughter and wild puppy Lucy, along with reading sewing and crafting. The end of the year is approaching fast, schedule your appointment today ! The new school year is almost here, make your appointment today!.